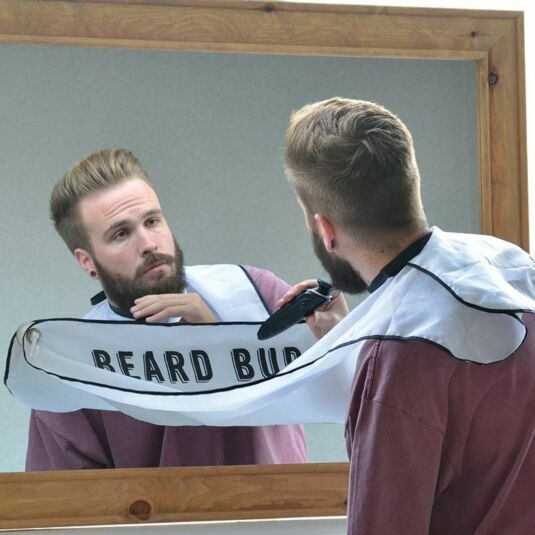 Ideal for dapper gents the Beard Buddy apron allows the modern man to trim and style his beard without the mess, perfect for remaining well-groomed on the move! 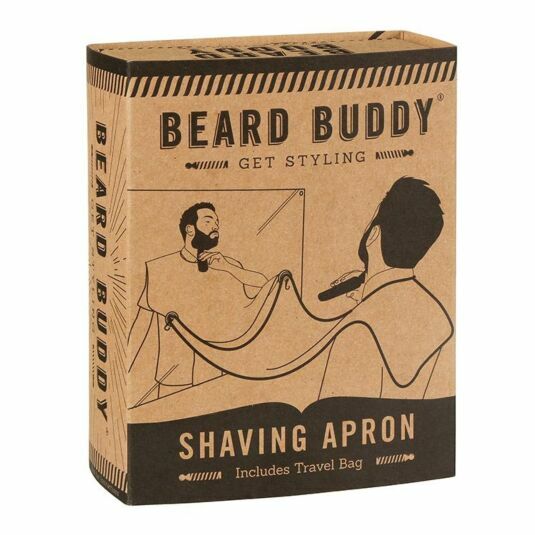 Strong suction cups hold the washable beard apron in place on household mirrors for mess free shaving! 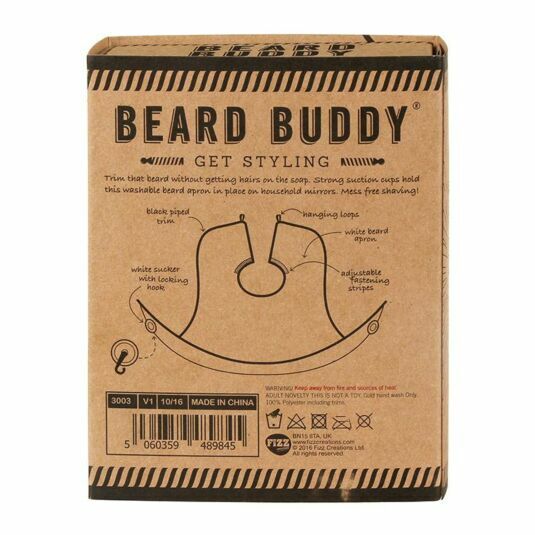 Trim that beard without getting hairs in the soap! This item includes a cord fastening travel bag for easy and convenient access on the go. This practical novelty item would make a great humorous Christmas or Birthday gift for your brother, boyfriend or dad on Father’s Day. Warning, keep away from fire and sources of heat.